What is a Village Design Statement (VDS)? A VDS describes the characteristics and qualities of the village as seen and valued by its residents. 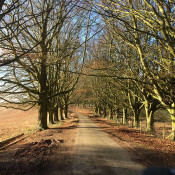 This Statement has been written by Bramdean and Hinton Ampner residents, so that local knowledge and views can contribute to the maintenance and improvement of the local environment. The aim is to ensure that further development, or change, is based upon a considered understanding of the history and characteristics of both villages in order to contribute positively to their future. When adopted a VDS can become Supplementary Planning Guidance. Who is the VDS for? 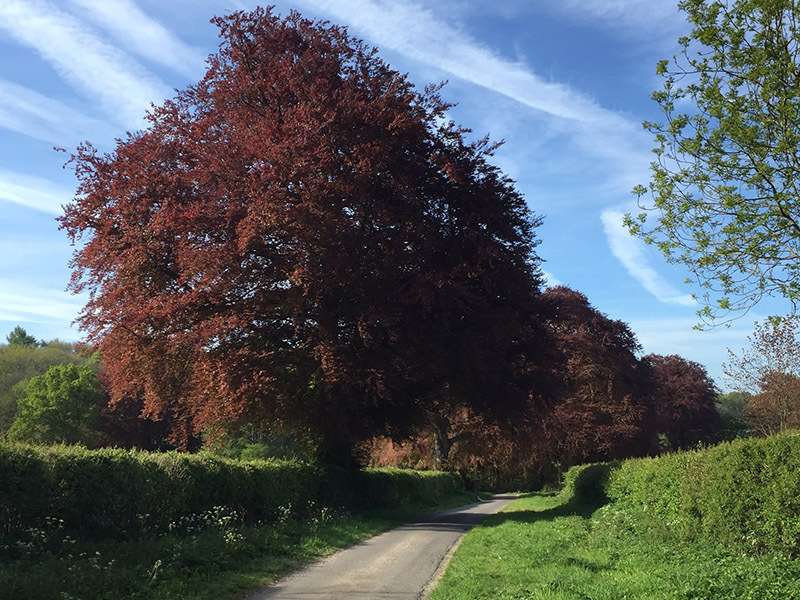 Change occurs not only through developments, which add to the totality of a village, but as a result of smaller day-to-day adjustments to houses, gardens, open spaces, paths and hedgerows which, together, can alter the look and feel of a village. Some of these changes are not subject to planning control. 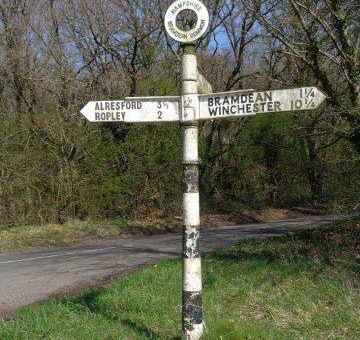 Our VDS focuses on the two main centres, Bramdean and Hinton Ampner. 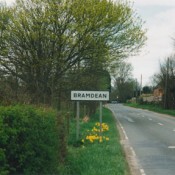 The communities are very different; Bramdean is a linear settlement, mainly along the busy A272 trunk road. 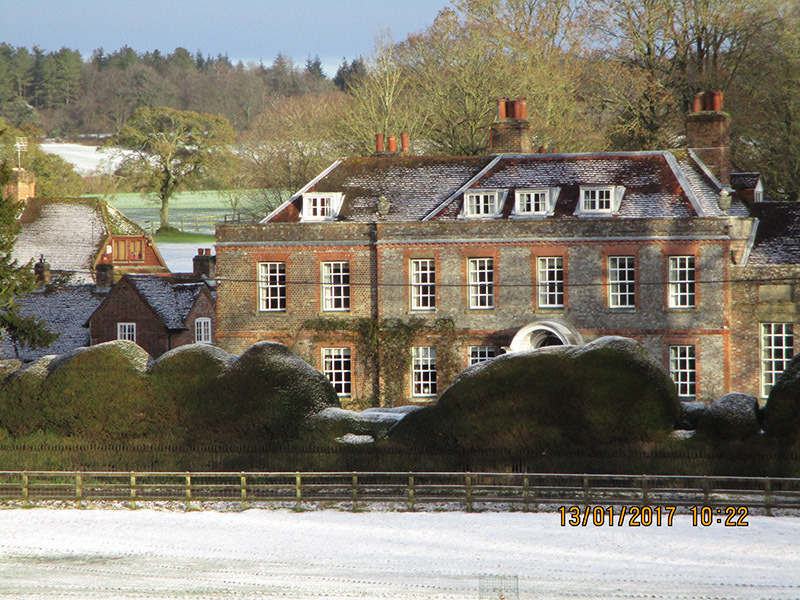 Hinton Ampner is a small farming village a short distance from the A272. The history of both communities can be traced back to the first century BC. Since then, historic milestones have had a significant effect on their development. 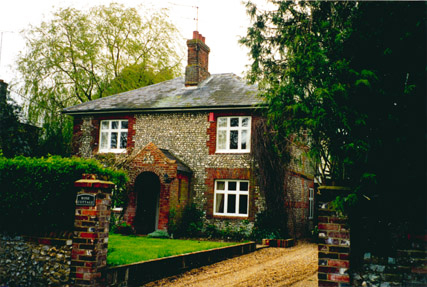 The current population of Bramdean and Hinton Ampner is around 550, residing in approximately 190 houses. The majority of these houses have no main gas or drainage. The electrical supply is from overhead cable. Like many Hampshire villages neither has street lighting. This VDS aims to identify and preserve the best of the past and encourage sympathetic change and alterations that bring about environmental improvements. 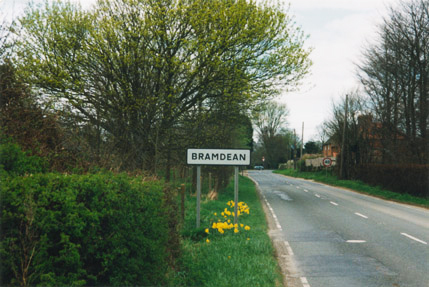 Historically, Bramdean (the name is derived from Brondene, village of the broom, whose valley sides were covered with broom bushes) can trace its origins to the first century BC. 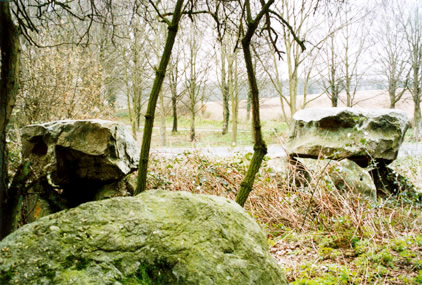 The parish encompasses at least five Stone Age pits. Some fine examples of lynchets (long narrow terraces used for cultivation) can still be seen on the southern slopes of the valley side, where they cross from Fox Lane to Malthouse Lane and continue across the back of the Old Rectory into Bramdean House Park. 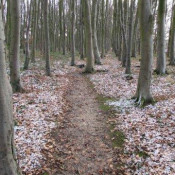 Sites of archaeological interest include a circle of stones, at the junction of the A272 and the lane leading up to Hinton Woodlands Farm, which is thought to have originated in the Bronze Age. 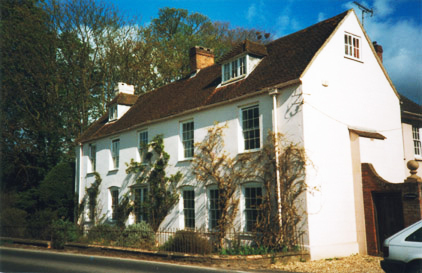 Woodcote Manor, which is mentioned in the Domesday Book, is located adjacent to the site of an Iron Age Settlement and the remains of a Roman Villa. 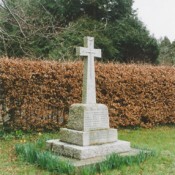 The parish also embraces the site of the Battle of Cheriton, one of the decisive battles between the Roundheads and the Cavaliers. 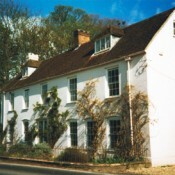 A number of local properties were used by the commanders of both forces. 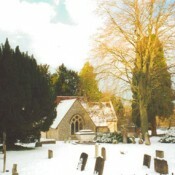 Bramdean Church dates to circa 1170. 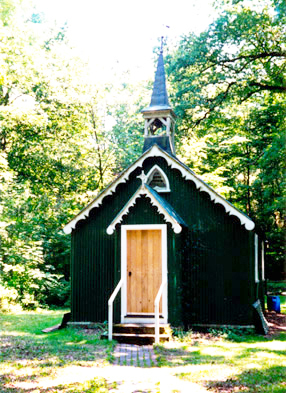 It remained unchanged until the nineteenth century when the chancel was repaired and re-roofed and the south trancept and vestry added, following the original style, with genuine trussed rafters to match the nave roof. 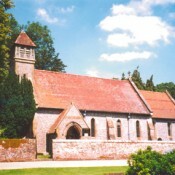 With Hinton Ampner church and the Church in the Wood there are three churches in the civil parish. The Fox Inn and the original forge (now the Garage) date from the sixteenth century and form the heart of Bramdean. 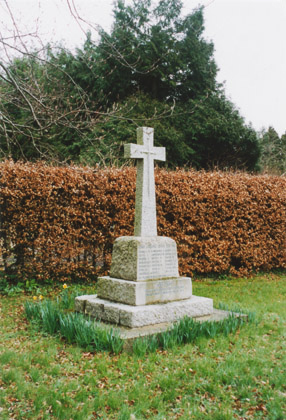 The character of Bramdean changed significantly at the end of the Second World War, with the loss of the village school and the development of Woodlane Close. The 1960Õs and early 1990Õs saw further development in the Wood Lane area. 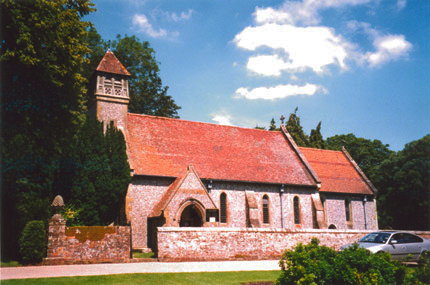 Hinton Ampner parish, which includes both the village of Hinton Ampner (the name is derived from Ôhomestead on the hillÕ, belonging to the Almoner of the Priory of St Swithun) and Brockwood (originally Brookwood), extends over nearly 2,400 acres, but is sparsely populated. 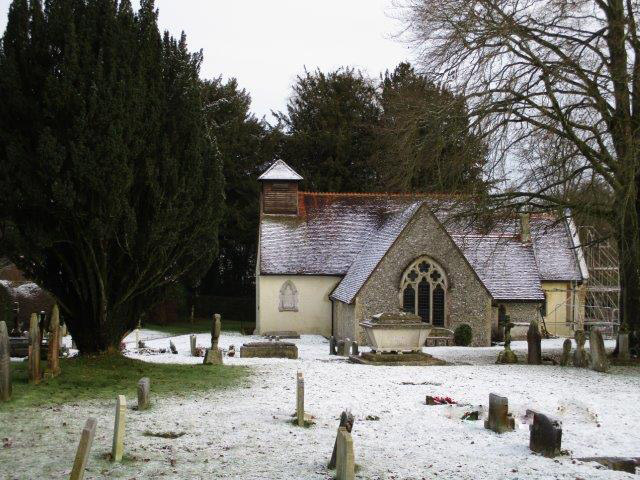 The village of Hinton is situated principally on one side of the hill to the east of Hinton Ampner House and Church. The village houses in Hinton Ampner are either timber framed and thatched, or brick and slate cottages, possibly dating back to the 17th century. 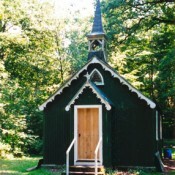 Other properties in the parish vary in building style and materials. 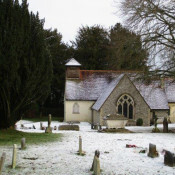 Situated on the north western reaches of the South Downs and within the East Hampshire Area of Outstanding Natural Beauty, Bramdean civil parish is typical of the area, with chalk bed rock overlaid with clay with a flint/gravel valley. It is defined by strong enclosures of woodland unlike the open downlands further south. Cheriton Woods bound the ridge of the valley to the north, with footpaths and lanes leading down to the village. 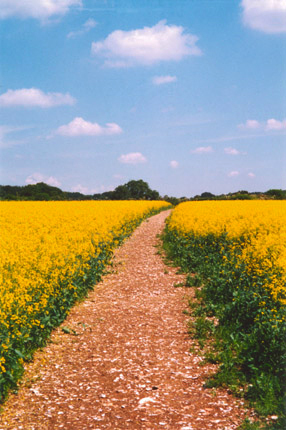 There is an ancient ridgeway track on the southern side of the valley, which runs from Hinton Ampner to Brockwood. 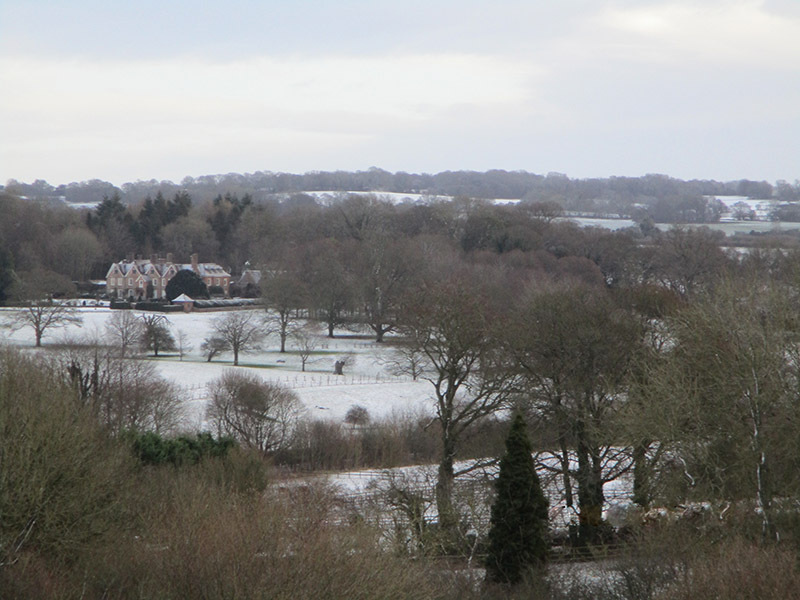 A strong pattern of hedgerows, with intermittent trees comprising oak, ash and holly, adds significantly to the long views into and out of the village. These critical views are indicated on the centre pages. 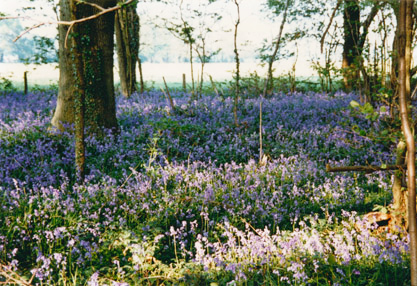 The wooded areas vary from small coppices and game spinneys to larger areas of deciduous woodland, all of which have important nature conservation value. Conifer and other evergreens have been imported, although Scots Pines are indigenous. Bramdean, by its linear nature, may lack some of the formal attributes of a traditional English village in the customary sense. Nevertheless, a great part of its value lies in it being situated in an Area of Outstanding Natural Beauty and the manner in which its buildings are dovetailed into the landscape. Trees of many species are an integral part of these settings, framing such local landmarks as Hinton Ampner House, Bramdean House and the three Churches. 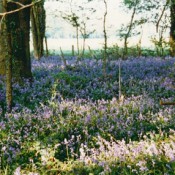 The character of Bramdean should be preserved by the positive management of hedgerows and woodlands, including pollarding and planting. Removal of hedgerows to create larger more ÔeconomicÕ field sizes should be resisted. Conifers should be properly managed and where used as hedges, should be maintained to a sensible height. New tree planting should not interrupt the existing views over open land, which are indicated on the attached plan. 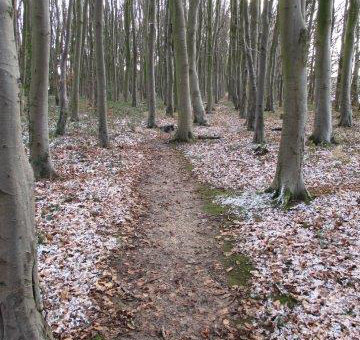 Existing specimen trees, coppices and spinneys should be managed for their survival. 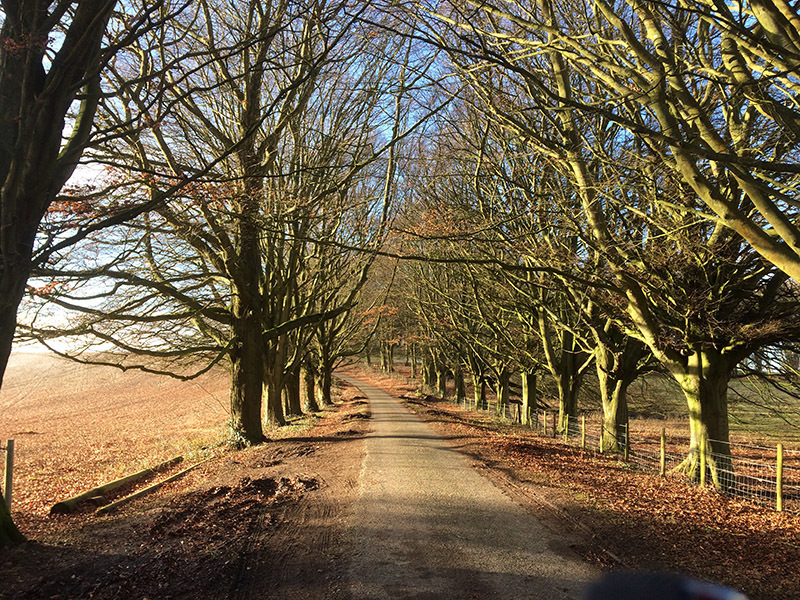 In general, trees protected by Tree Preservation Orders should be retained. 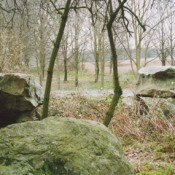 To the north of the parish, the ground rises to form Bramdean Common. To the south, the gently up-sloping land displays excellent examples of ridges and lynchets. 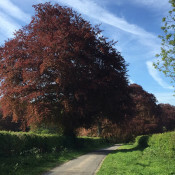 The most southern part of the parish contains large areas of semi-ancient woodland, as well as one of HampshireÕs finest examples of a copper beech tree avenue which frames the main road on the approach from the east. At the western reaches, the valley floor widens to form marshland. The high water table of this area feeds the River Itchen; the source of which is close to the parish boundary. 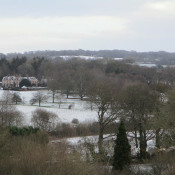 The approach to the village from the north presents a different impression of Bramdean from the approach by the A272. The large public open space of Bramdean Common, surrounded by trees, with dwellings scattered around its perimeter, gives way to the narrow roadway of Wood Lane with its narrower verges and taller more substantial hedges and trees. This sensation of restric-tion is occasionally relieved by views of farmland, paddocks and buildings on the western side of the road. However, the restrictive feeling is generally maintained until, by contrast, on entering the village, many of the houses and their front gardens are open to view, re-creating the feeling of openness. The sensation of openness is retained even at the heart of the village, around the Church, Fox Inn and Garage, with the majority of dwellings clustered on the northern side of the road and open fields and meadows to the south. 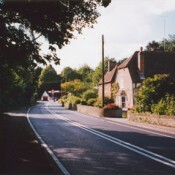 Several smaller lanes connect with the A272 from both sides of the valley. 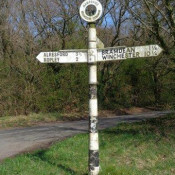 The lanes inter-connect with a series of footpaths and bridleways, many of them linked and generally well signposted by Hampshire County Council. 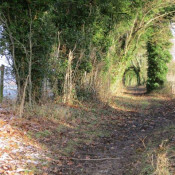 These provide attractive walks into the rural heart of the countryside and are popular with both villagers and visiting groups of walkers. 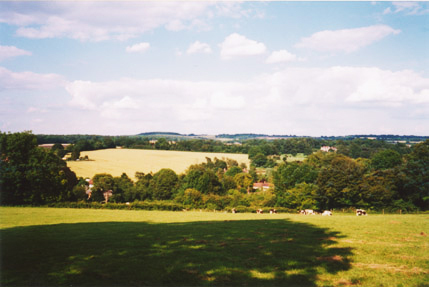 The open views of the countryside as seen from the A272 should be maintained by restricting development which would cut off the existing long views to the ridges on either side of the valley. Footpaths and sign posting should be maintained and reinstated, where necessary. Hinton Ampner House with its parkland and formal gardens combines to form a most attractive area, maintained by the National Trust. 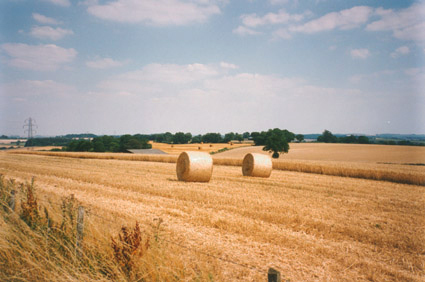 Woodcote Manor is also set within its own farmland and Bramdean House has open farmland opposite. 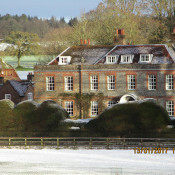 Bramdean House is noted as of Special Interest in the Grade II English Heritage Register of Parks and Gardens. Hinton Ampner,Woodcote Manor House and Park, and Brockwood Park are all in the Hampshire Register of Historic Parks and Gardens. 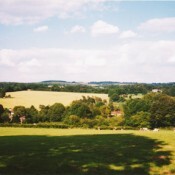 Bramdean and Hinton Ampner comprise both open arable and pasture farmland, as well as enclosed woodland areas. 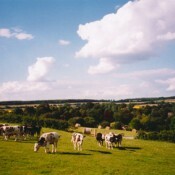 The farmland is defined with hedged or fenced fields, generally with small pastures and meadowland in the valley bottom and larger arable fields on the well-drained slopes. Within the confines of the villages there are numerous operational buildings, which relate mainly to farming or horticultural need. They are generally steel or concrete framed buildings, with metal or timber cladding. Open-sided sheds, used for the storage of hay and straw, are also common. The impact of such buildings varies. Where they are not disguised and/or well maintained, they create an unpleasant intrusion into the village and the countryside. 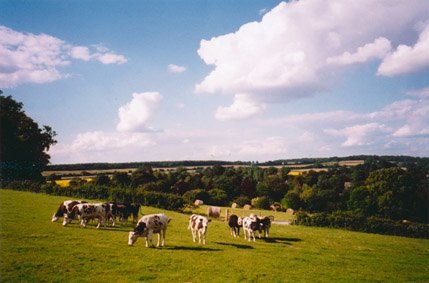 The economic pressures faced by the farming community may result in fields being used for non-agricultural purposes, such as livery. This could be encouraged, provided the nature and character of existing fields is preserved. Agricultural buildings, silos, telecommunication masts etc. should be carefully designed and located, to avoid intruding on the beauty of the landscape. Hedges, as divisions between fields/ownerships, should be considered as being more in keeping than ranch style fencing. “Horsiculture” should be kept within proportions which reflect the existing scale of land ownerships and use. 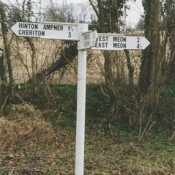 The linear style of Bramdean and the cluster of Hinton Ampner, as they exist today, were dictated by historical and social factors, as well as the geophysical situation. The broad valleys with plentiful supplies of accessible water, sheltered from the north wind, led to early settlement of farms and attendant dwellings along the valley bottom. 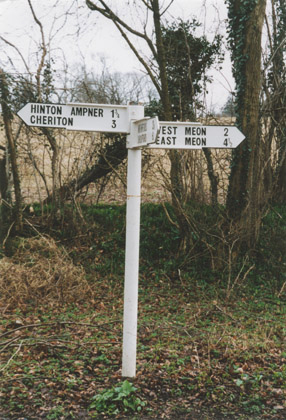 These grew into Hinton Ampner and the hamlets of Hinton Marsh and Little London, outlying to the west of Bramdean and separated from it by the fields, which still maintain their integrity on both sides of the connecting A272 highway. It is not until one enters Bramdean village that the hedges give way to brick and flint walls (some with railings) which frequently enclose but, in most cases, do not hide the fronts of the houses, which characterise this part of the village. The linear style of the Village should be retained and the Local Development Plan supported. The agricultural land frontage to roads should be retained by resisting infill development. The A272 trunk road, which runs east and west through the valley is now both a servant and master of the community. 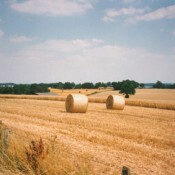 Car and lorry traffic is dense, particularly in high summer, when queues form long tailbacks behind slow-moving agricultural vehicles. At other times, high speeds are commonplace despite current speed restrictions. 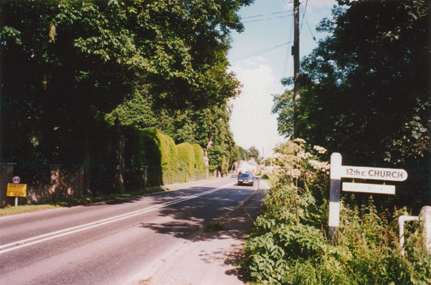 The verges are wide and grassy, but devoid of metalled footpaths, except for a small section by Hinton Ampner cross roads and in the centre of Bramdean on the south side of the road between the Fox Inn and the Church. 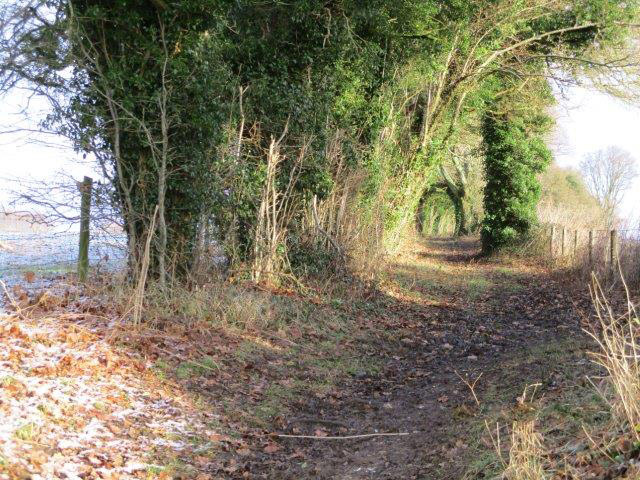 Wood Lane, which traverses the northern and most populous arm of Bramdean, has no metalled footpaths. There are no dedicated public car parking spaces in either Bramdean or Hinton Ampner, although there are roadside bays in Woodlane Close and the forecourt of the Village Hall may, with permission, be used for parking. This is generally a satisfactory arrangement and the parking of cars in the village is not a problem. 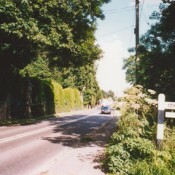 There has been a tendency to create unofficial pull-ins along the A272, to facilitate deliveries, etc. These destroy the kempt appearance of the verges. 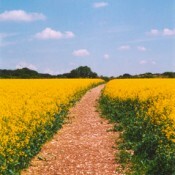 Recent efforts by Hampshire County Council (HCC) to reinstate these verges are welcomed. 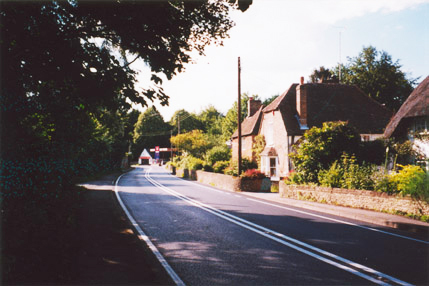 Visual traffic calming on principal roads is essential to maintain the rural ambiance and as far as possible road surfacing, markings and signs should be in keeping with the rural environment. The rural character of all roads should be maintained i.e. no kerbs or street lighting, and no additional roadside pull-ins. Where it is practical to provide additional footpaths for the safety of residents walking within the villages, they should be encouraged. 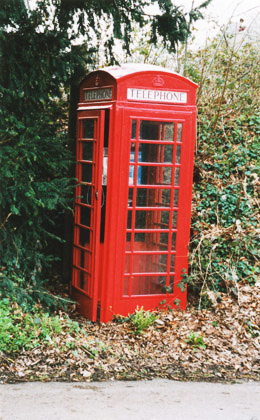 Bramdean and Hinton Ampner are treasure troves of old, interesting and visually pleasing buildings. Styles are varied and they become rational when the historical and social development of the villages is considered. The villages were originally based on agriculture, with appropriate dwellings Ð farms, cottages and larger houses for the landed gentry. The high water table accounts for the many wells throughout the villages and may also account for the relatively small number of properties having cellars. After World War II, the appearance of the village changed due to social development. There was tremendous pressure on local Councils to provide quick, affordable housing. Hence the construction of Woodlane Close, with its mixture of materials – concrete ÔAireyÕ houses, traditional brick and rendered properties and the wooden houses, donated by the Swedish Government in 1948. The 1960Õs witnessed another milestone in social development, due to the increased mobility of the workforce. People were able to live in the village and commute to work, because of the increased ownership of motor vehicles. A crop of bungalows and chalet type houses (the Ôtown cottageÕ) was built , in a style which represented a compromise between town and country. However, Bramdean has escaped mock Tudor beams and other modern equivalents and car-ports are not commonplace. Dwellings are typically single or two storey. Village homes are not pretentious but well maintained, with evidence that, in periods of prosperity, owners had been able to improve their property. Flat roofs, car ports and mock Tudor beams are not typical and should be discouraged. Houses should not be more than two storeys and be in proportion to neighbouring properties. The village is typified by relatively generous plot sizes, with access predominantly to the front. Parking areas and driveways are mainly gravelled. A large proportion of properties suffer from poor sight lines, due to the sweeps and curves of the roads. There is no tandem building of houses and garages. Tarmac and concrete driveways should be discouraged in favour of gravel with a buffer strip to the road. Typically, garages are not built in front of houses. For any new house, it should be possible to park vehicles within the curtilage of the property. For a relatively small settlement, there is a significant number of large houses of different construction styles. The variation is echoed in the majority of dwellings, where wall materials span a wide range. The older properties predominantly used locally available materials such as flint, brick and tile. There are also many examples of timber cladding, concrete, rendered and painted finishes, wattle and daub and timber framing. The older, large houses are brick with tiled, or thatched roofs, the choice of which reflected the original ownersÕ affluence. Slate was probably used for roofs when it was cheap and readily available. Roof tiles range from red clay pantiles to large concrete tiles. There are isolated examples of timber shingles, but few examples of tile hanging. Hinton Ampner has a higher proportion of thatch. Roof materials should reflect those used in the village and be in keeping with the immediate environment. Solar panels should be sited so as to be visually unobtrusive. Large expanses of glass are not typical, although the style of windows ranges from leaded light to the traditional cottage casement. Window frames are predominantly white, with few examples of dark stained wood. 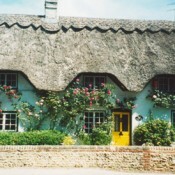 Dormers are much in evidence and generally of traditional design, with tiled or thatched roofs. Windows should reflect the style and size of similar neighbouring properties. 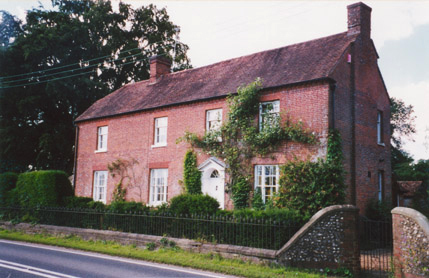 Dormers should be limited to the traditional, pitched Hampshire style. ÔVeluxÕ roof lights should only be used on rear elevations. Of the c.190 village homes in Bramdean and Hinton Ampner and around Bramdean Common, approximately 45% have either a porch or a canopy. Porches are either open fronted, with wooden supports, or entirely enclosed. 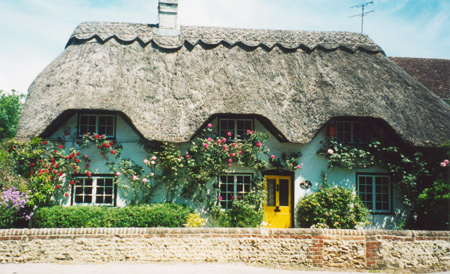 Where porches are provided, they should reflect the existing village styles. 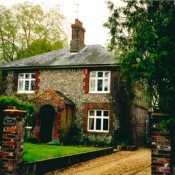 In the 1990s,The Spinney, a development of five cottage style houses off Wood Lane, was built on the remaining parcel of building land within the designated building envelope. These houses reflect a return to the cottage style. 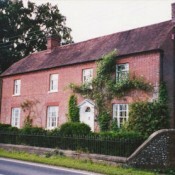 The newest dwelling,Woodlane Farm, completed in 1998 and permitted under the new for old building policy, is built in Hampshire farmhouse style. Any new development should reflect materials used elsewhere within the villages and the massing, scale and size should reflect the immediate environment. Some old and redundant buildings, like the barn conversion at West End Farm and the school house at Hinton Ampner, have been given a new residential lease of life. The old forge has evolved into todayÕs Bramdean Garage, with the relatively recent addition of the forecourt canopy. 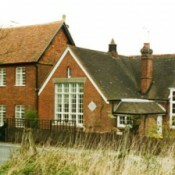 In 1963, the site of the demolished school in Wood Lane was used for the construction of the Village Hall. The Hall has subsequently been extended in a sympathetic style. Properties once used for commercial purposes have reverted to private use. For example: Jordan House, Manchester House, Middleham and Post Cottage in Bramdean and the former Post Office and shop in Hinton Ampner. Sensitive re-use of rural buildings should be encouraged where this will have low impact, be sympathetic to the landscape by being non-intrusive and not increase heavy commercial traffic. Many properties have been extended over the years. UPVC double glazed windows, burglar alarm units and security lights have become commonplace. Satellite dishes are on the increase and can be visually obtrusive. Satellite dishes should be unobtrusively sited from roads and footpaths, and security lights sensitively positioned so as not to intrude on neighbouring properties or compromise road safety. In the past 10 years the village has lost its post office and shop and limited bus services make residents reliant upon a car. This is regrettable in an age when sustainability is seen as increasingly important. Amenities such as a shop, post office, police presence and improved bus services, should be encouraged when they can be economically sustained. Encouragement could be given to the consideration of a Rural Exception Site, as envisaged in the Local Plan. However, if the need for affordable housing for young people of the villages is proven, such development should be within the scale and characteristics of the existing environment. How do your proposals relate to the existing property and that of your neighbours? Are they in character and style? Consider details such as doors, windows and dormers. How do they relate to your property and adjacent houses in terms of scale, shape, proportion, materials and colour? Also consider roof pitches, roof heights and the general size/ massing of your property. Are they in sympathy with your immediate surroundings? Visualise the impact of garages, driveways and boundaries. Are they sympathetic to the guidance in this document? Remember, trees and hedges should be preserved wherever possible. Discuss your Impact Assessment with your architect or surveyor and talk to the planning officer at an early stage. Michael Finn; Anne Newson; James Bulloch; Joan Norman; Jeff Edwards; Paul Stevens; Barbara Holyome; Margaret Williams; Brian Woolsey. Throughout the process, the Steering Group has been guided by Phil Turner Dipl.Arch. Dip.TP. RIBA, MRTPI an Architect and Planner specialising in Village Design Statements. 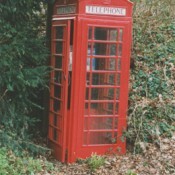 The project was launched at a public meeting on 6 March 1998 when about 50 residents attended to hear Steve Opacic (Forward Planning Team Manager, Winchester City Council) and Phil Turner explain the purpose of a VDS and the processes needed to ensure a document which could be adopted as Supplementary Planning Guidance. Paul Stevens; Antoinette Denham-Harding; Sarah White; Richard Cotton; Tessa Feilden; Sandy Stevens. In addition Jerry Reeves provided valuable help in combining words and pictures for the first draft. Sue Sayer helped with the Bulletin and ran the crche on the Workshop day and Michael Payne was a founder member who contributed to the VDS until his death in April 1999. Thanks are also due to the Rev.Arthur Croad who gave continued support and, in fact, retired from the Parish Ministry just as this project was concluded. 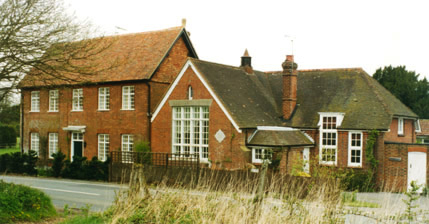 The three teams presented their findings at a public meeting organised by Bramdean Society on 1 May 1999. The first draft of the VDS was completed in the latter part of that year. The document was discussed with Phil Turner and Steve Opacic and in August 2000 a revised draft was sent to every house in Bramdean & Hinton Ampner with a Questionnaire seeking the views of residents. Nearly 30% of residents responded and showed overwhelming support for the aspirations of the VDS. A number of issues emerged with a higher priority than the Steering Group had expected and therefore certain changes were made. The final draft of the VDS was presented to Winchester City Council in November 2000. It was formally accepted as Supplementary Planning Guidance on 20 December 2000. Bramdean Society and the Steering Group would like to thank the Parish Council for their continued support throughout the project and for their financial assistance before funding became available from the National Lottery Charities Board ÔMillennium Festival Awards for AllÕ scheme. There are 47 individual buildings within the parishes (out of c.190) which are protected either under the Town & Country Planning Acts or the National Parks Acts (Areas of Outstanding Natural Beauty). 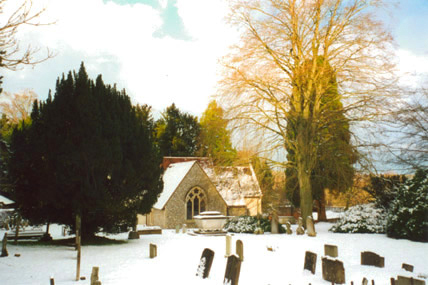 Many individual cottages are c.16th century and the churches of Hinton Ampner and Bramdean are 11th century and 12th century, respectively.